Personal hygiene products such as SLS Free toothpastes, shampoos, soaps and beauty products should be considered if you are concerned about using products that contain Sodium Lauryl Sulfate. There are a number of SLS Free makeup products for sale that include: foundation, mascara, concealers, lipstick and blushes. Every woman wishes to acquire beauty products that are effective as well as safe for their skin. Since your skin is the bodies largest organ it’s wise to be cautious about the products you use. In recent times with an increased awareness of Sodium Lauryl Sulfate a number of woman have turned to more natural cosmetics that include SLS free makeup. (If you are unaware of the potential health risks involved in using products containing Sodium Lauryl Sulfate please take a look at this article for more information). These contain purely natural products and are therefore mild on the face, including the sensitive areas around your eyes. 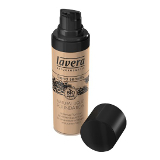 Starting at a low price, you can obtain the foundation in either liquid or powder form. The mascara is a little more expensive, but it’s definitely worth it. Quite a number of conditions may leave blemishes on your skin- acne being one of the main culprits. 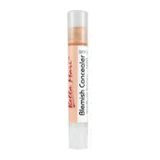 If you have blemished skin or irritation then you don’t want to cause more harm by using harsh products, and this is why Bella Mari Concealer is a great choice. For a low price you get to enjoy the benefits that come with this SLS free makeup. This product tends to have a long shelf life, because you only need to apply a very small amount during each application. 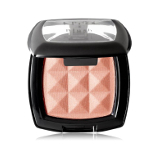 The NYX Cosmetics Powder Blush is reasonably priced and is very gentle on the skin. Available from most major retailers it’s a great option when looking for an SLS Free Makeup. This is the most popular natural lipstick on the market. These Lipsticks are priced affordably and offer a huge variety of shades. It’s also vegan and free of paraben, gluten, dyes, and fragrances. 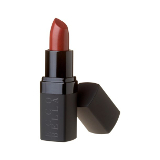 The quality is also unmatched- Ecco Bella Lipstick will moisturize without any chapping or flaking. Affordably priced, this product makes a great pick especially if you want your eyes to stand out while still looking natural. 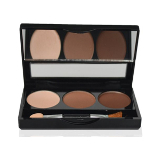 Cluere Eye Palette contains no toxic elements. * Some of the products listed above may not specifically mention being SLS Free (particularly Lavera foundation). 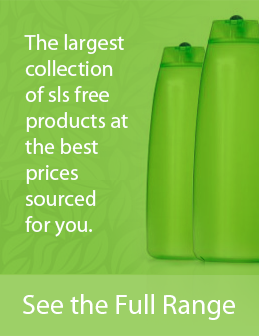 We have researched the products listed and are confident all are free from Sodium Lauryl Sulfate. As you can see there are a number of quality SLS Free Makeup varieties available for consumers, the list above only scratches the surface of what is available. If you are interested in researching further then be sure to take a closer look at Cleure, Sarah Wilson Cosmetics, Herbal Choice Mari, Suvarna and Bellamari.